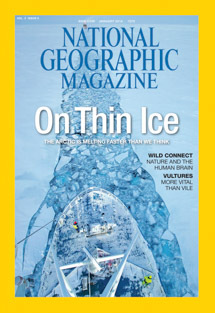 National Geographic Magazine recently published the story about Arctic sea ice in winter, this is one of the four international editions (India) that featured one of the pictures from the story on its cover. The print story was featured in the January issue, but you can still read the story and see the pictures here. You can also watch a video of our time on the ice here.